​Mary Alice is now offering a special of two sessions for $300 (save $100!) by contacting her through this page. She can work in person or over the phone. My job is to support and encourage what is real and true. Whenever we are willing to get to the truth and accept it, a space opens to move forward. I assist clients to clear the way and allow life to be – Miracles happen…. I use my strong intuitive senses to give a deeper understanding about what is going on in your life. I am blessed with the ability to see into your life and feel what you are feeling. I am able to see everything you hold within you that describes who you are. This ability allows me to deliver important information so you can make positive changes in your life. I hear information from your angels, spirit guides and deceased loved ones, and I work with the Ascended Masters. I work with past life issues that have an affect on this present moment. These are messages you are meant to receive and information about subconscious issues that may be causing problems in the present moment. I know how to work with difficult emotional blocks and am a clear channel for energy healing within you. I am here to help you with your life’s purpose in the now and what your future may look like. Also the type of goals your spirit wants to accomplish in this lifetime – your reason for coming to earth at this time! 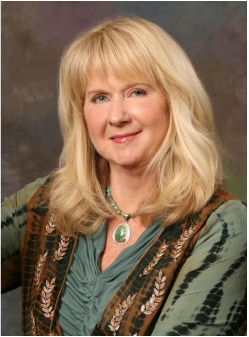 ​Mary Alice Stuart, Rev., is an Intuitive Counselor and has an international practice as a mentor and teacher. She has been an Awareness teacher and trainer for individuals, couples and groups for over 20 years. Born intuitively gifted Mary Alice facilitates Self-Realization with natural wisdom and a light touch. "While the words Medium, Clairvoyant, Healer, Teacher, Meditation Coach, Visionary and Communications Expert have been applied to her work in Business, Government, Politics, and the private sector they fail to capture the extraordinary range of powers Mary-Alice focuses to profoundly influence the lives, hopes and dreams of her clients. Her striking presence, gentle wisdom and sweet demeanor fail to hide an incisive intelligence, a penetrating intuition, and a unique ability to redefine perceived barriers, to resolve emotional roadblocks and to remove spiritual obstacles. Her knowledge and attributes are diverse and difficult to describe but the positive, life changing transformation she brings to each client is impossible to ignore." - Kevin K.